This urn, made of mesquite with corner inlays of ebony, was built for a cat named Mesquite. 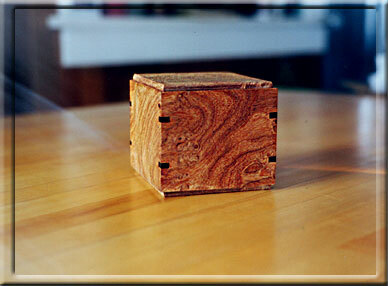 A similar urn can be built from a variety of woods. It has a natural beeswax finish.